Interior designers love it, Feng Shui masters demand it. Complete with 2 LED lights that may be used as an additional design element. 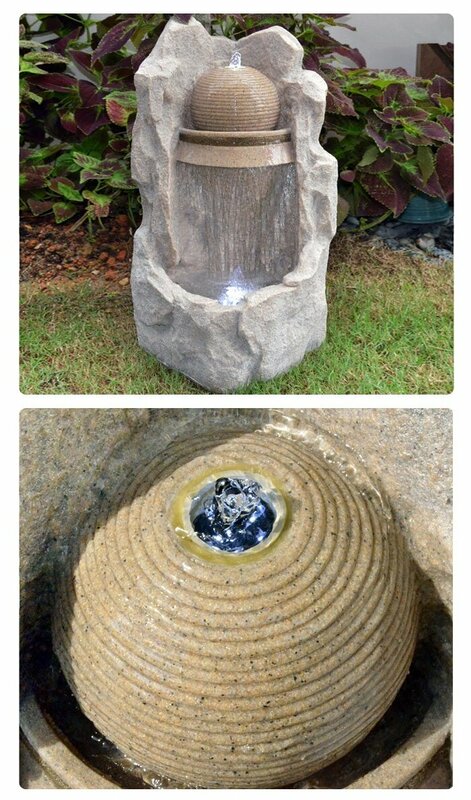 This Feng Shui water fountain a recreation of the majesty of nature. If you have been to those secluded wonderful beaches, you’ll know just how awesome those mountains can be. These mountains nestle some of the most grand and beautiful waterfalls you will ever see. There is an unexplainable joy and peace that comes with such a view. It is as if nature is showing off just how beauty that nature creates can never be paralleled by man. Many business and home owners have started putting Feng Shui water fountain in both their homes and place of work because it brings good Qi. This water fountain is an attempt to recreate the beauty that roughness has, just like how seemingly unplanned and unfinished those mountains and caves can be and how beautiful it can really be. Art needs not be finished and smooth and fine. Sometimes, it is better to keep something a bit more faithful to nature. This piece is perfect for those who still want to follow the tradition and advise of Feng Shui without veering away from what looks natural and easy.